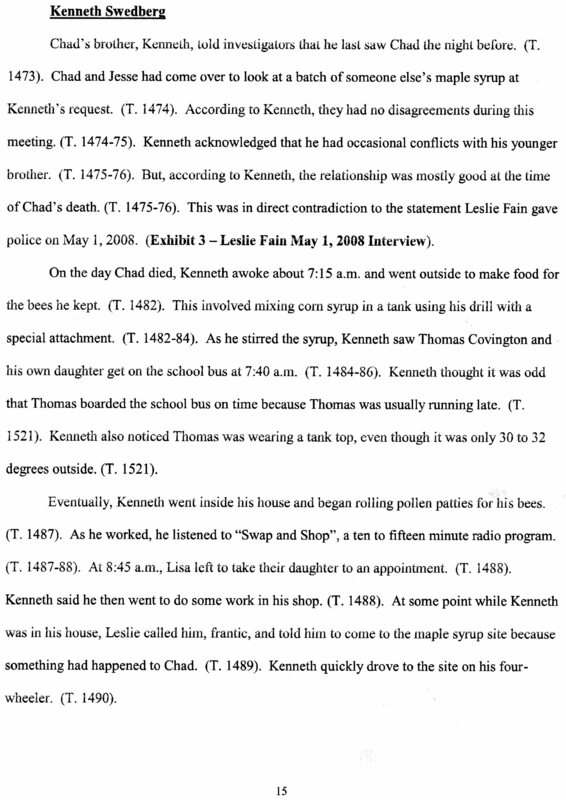 Here is Kenneth Swedberg’s version of what he remembered the morning his brother was murdered. You can also listen to his interview on this blog. See 2-16-15. One of the many things that is remarkable is that he doesn’t know who might have done this. 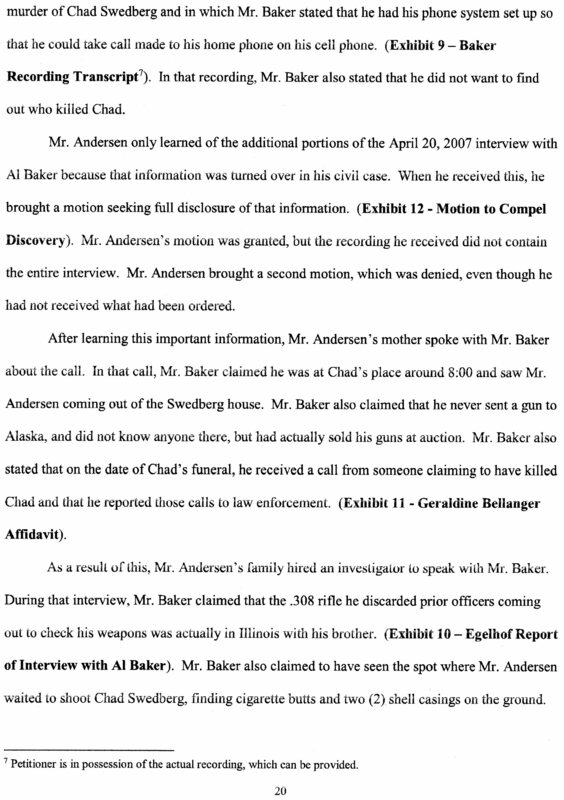 Ken Andersen was not a suspect during all these interviews. He only became a viable suspect when law enforcement decided he was, no one else did. So why did she lie? 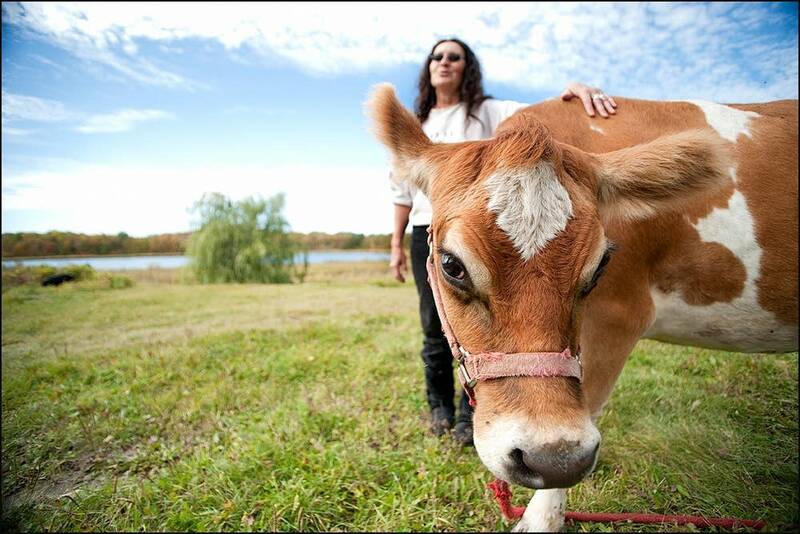 Last week I posted the testimony of Leslie Fain. 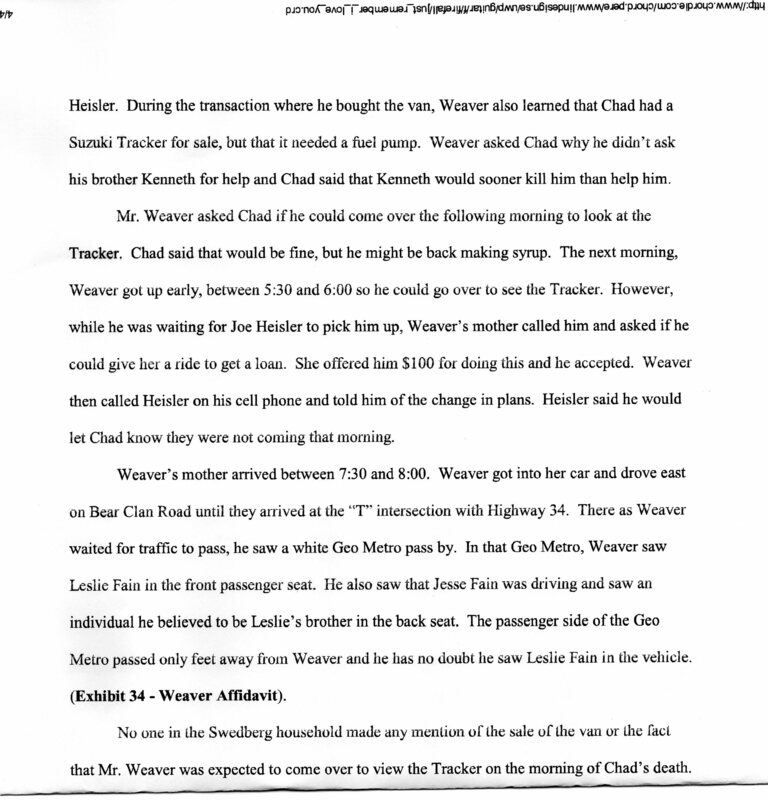 Below is the testimony of Stacy Weaver. His story has been vetted and he remains steadfast in that he saw Leslie, Jesse, and her brother the morning Chad was killed. How is this possible? This is the very time she claimed to be at home watching Chad leave to his fate. Why did she omit this early morning outing? What was she doing? 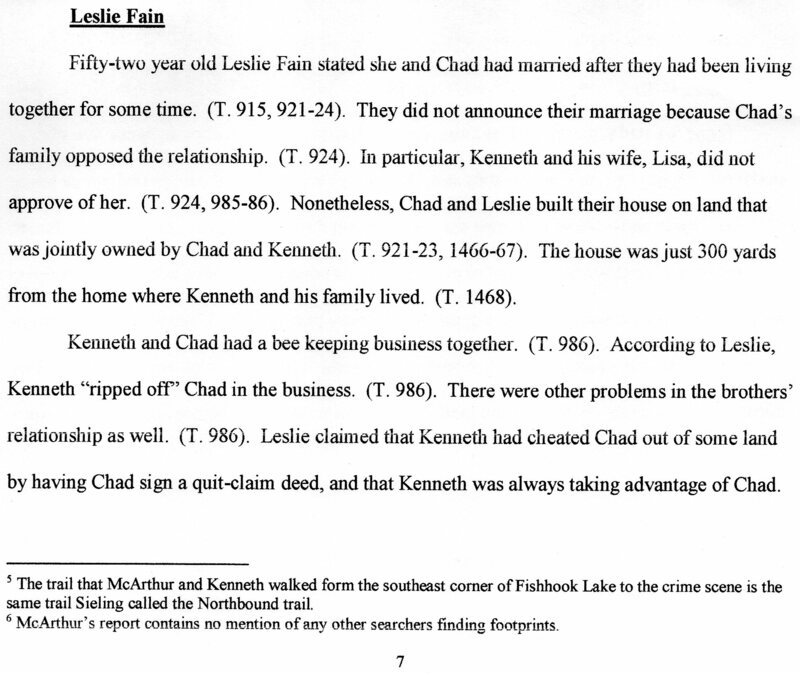 This sad story has always begun and ended with Leslie Fain. She is the one who first reported her husband’s death and called 911. She was the first story investigator’s talked to and gave them them her opinion of her and Chad’s life. 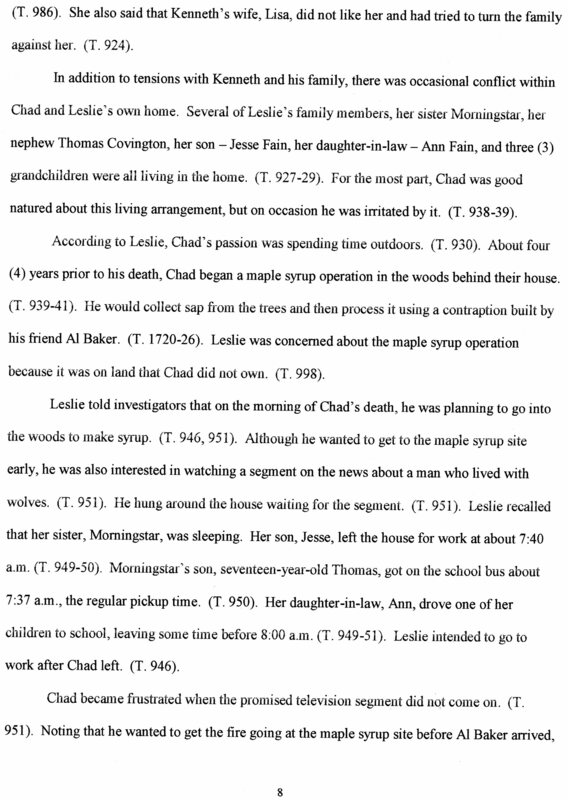 The following pages show how she didn’t like Kenneth and Lisa Swedberg, how she admits the stress Chad was under with her own family crowding into live at their house, and how she worried Chad and Al Baker’s maple syrup stand might be in trouble since they didn’t own the land it was on. 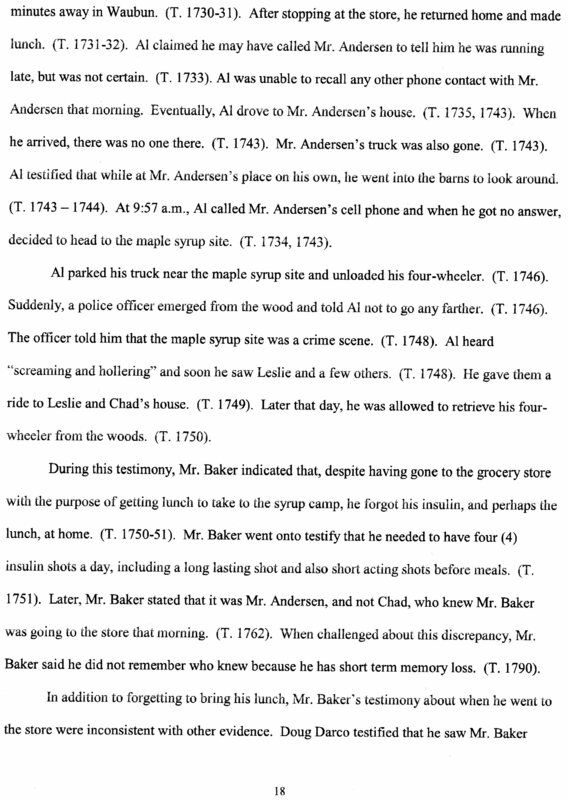 Leslie gives an “account” of what happened on the morning he was slain. I used quotes, because later it was discovered she wasn’t telling the whole truth and skipped some things that would put herself in jeopardy. She even implicates Kenneth Swedberg in the murder. Leslie spins another tale of how Chad was going to buy a green house. At first she claims they were not having financial difficulty but later her bank statement show dozens of bounced checks, so buying anything would prove to be a problem. They were found to be borrowing money to make their past due mortgage payments as well. 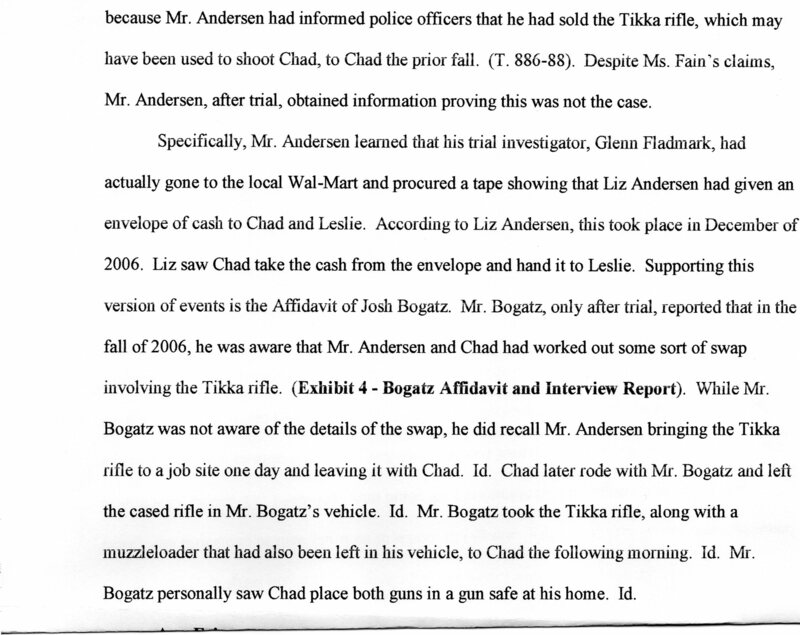 Leslie gives several bogus “accounts” about the sale of the infamous Tikka rifle. After reading these four pages, how could she be trusted to give any account that could be used in court is beyond belief? This fall MTV has aired a series “Unlocking The Truth”, highlighting several unrelated wrongful convictions. Hosted by Ryan Ferguson, who spent 10 years in prison for a crime he was later exonerated for, and Eva Nagao, they examine a growing trend to lock up innocent people when a crime can not be solved in order to get a “win”. They estimate about 5% of the current population incarcerated are innocent. That may seem like a small number to keep us safe from the bad guys, but it literally amounts to over 65,000 humans. The link in nearly every case that was broadcast was the police are willing to cheat in order to win. Winning at any cost seems to be their main goal and “win” they do. It was no different in the case of Ken Andersen. On Monday I presented the beginning of the lies manufactured by the Becker County authorities to get such a “win” at any cost, the truth be damned. The first one was that media saturation, fueled by the police, showered the entire community of what a dangerous criminal Ken was. His first lawyer was Will Bulmer, who recognized there was absolutely no way to find 12 jurors who had not heard Ken was already guilty. 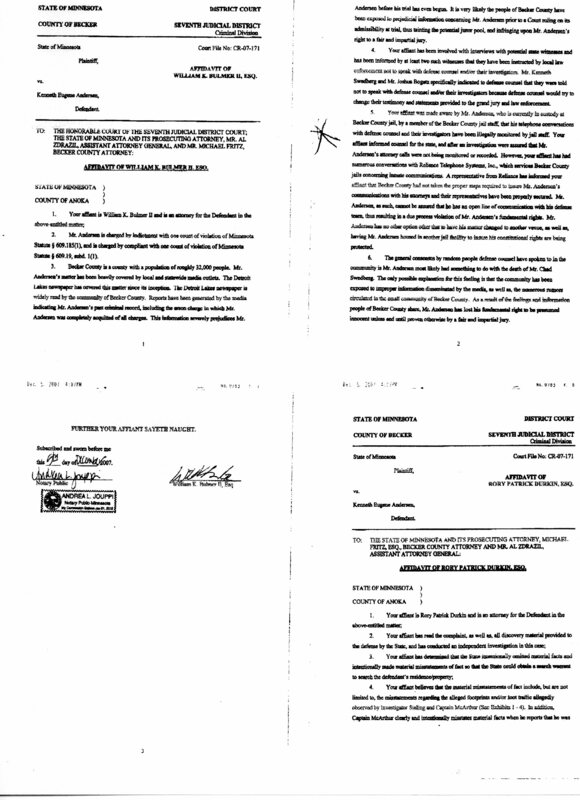 You may need to enlarge the pdf to read it but Mr. Bulmer pointed out that the media had well informed all 32,000 citizens of Becker County of Ken’s criminal record, and arrest for arson (which he was completely acquitted). In order for Ken to get a fair and impartial trial, they would need to move the venue. The Judge rejected the idea. Why? Polluting the jury gave the DA a definite advantage and damned be the US Constitution swearing to give anyone a fair trial. STACKING THE DECK. 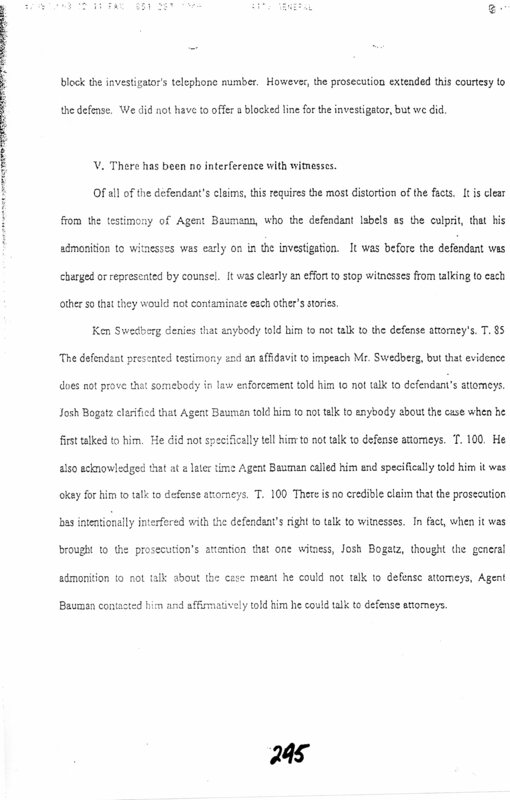 Also in the above document you will find that Kenneth Swedberg (Chad’s brother), and Josh Bogatz have told investigators they were both advised by law enforcement not to talk to anyone connected with Ken Andersen’s defense team including his investigator. The bogus reason given was that Ken’s team would try and change what they said. I wonder how that might be possible. No matter, many potential witness clammed up and hog tied Ken’s defense team from getting much help from those who knew the truth. STACKING THE DECK. 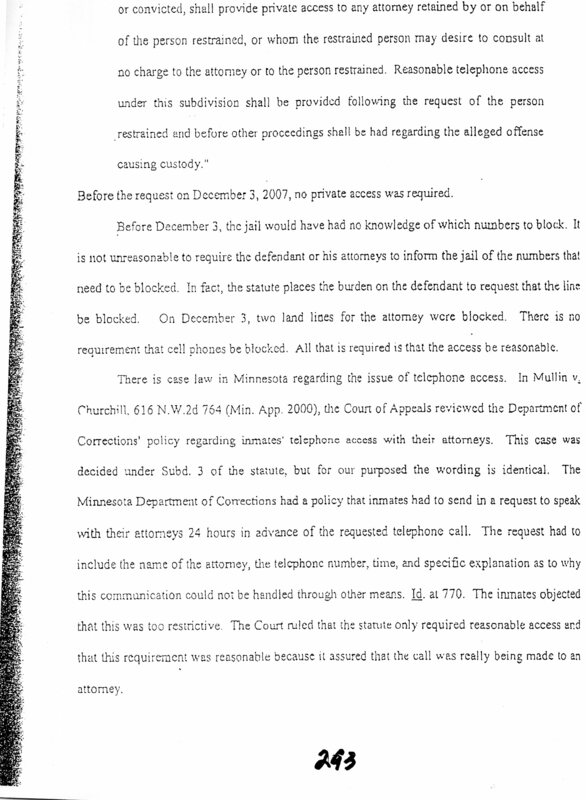 Ken was told by one of the Becker County jailers his privileged phone calls were being recorded violating attorney client privileges. Becker County and BCA’s Dan Baumann vigorously denied this, and explained that they were doing this at first but stopped when they got caught. A later civil lawsuit by Ken proved this to be a lie as well. 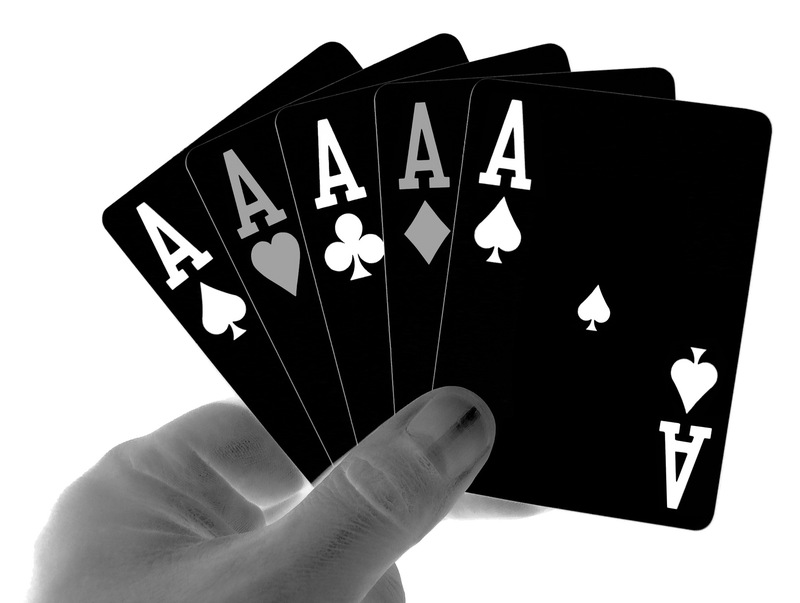 This was a growing trend of cheating to win a weak case that should have never come to trial. The real murderer got away with this. STACKING THE DECK. Come back Friday for more. If you have read the latest petition telling how Ken Andersen was wrongly convicted for the killing of Chad Swedberg, you may have questions about whether or not these new claims can be backed up. They can and I will offer you proof. Here are some of the issues that caused the lies surrounding the prosecution’s case against Ken. 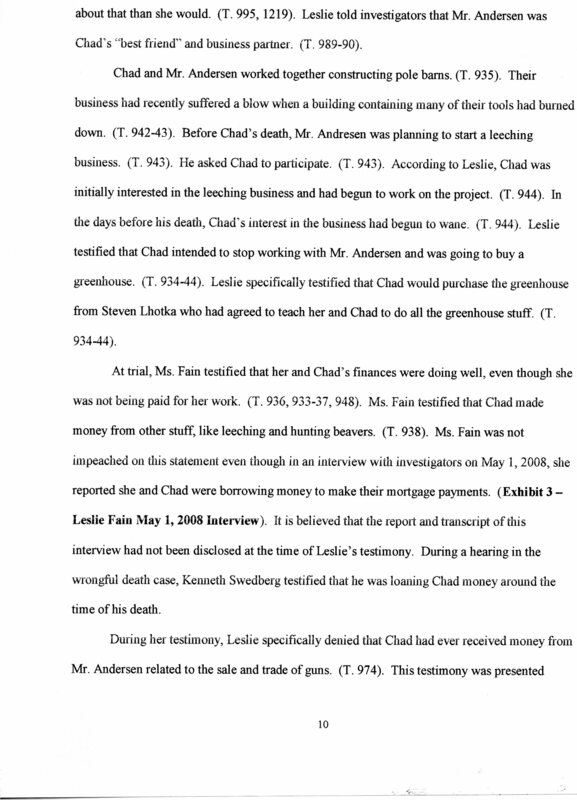 Ken charged that the media, particularly the Detroit Lakes News, had reported that Ken had shot Chad before he even had a trial, which polluted the jury pool. 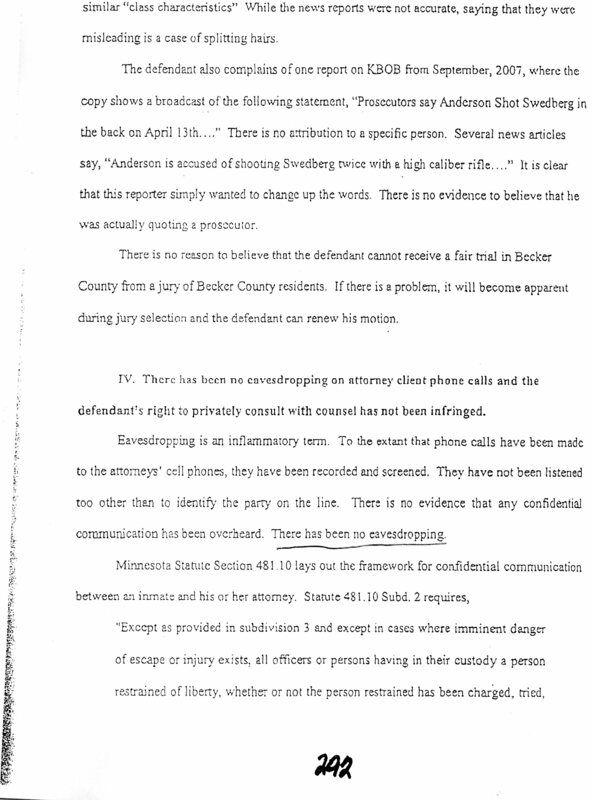 One of the headlines was “Prosecutors say Andersen Shot Swedberg in back on April 13”. The DA responds by saying there is no proof the paper ever talked to an actual prosecutor. What? Do they think the local paper lied about this? They need proof that the information came from a prosecutor? No matter that the headline has already prejudiced the readers. Here’ the exhibit. The media literally saturated the small community with “news” that Ken was guilty without even having a trial. Guess what? It worked. 2. 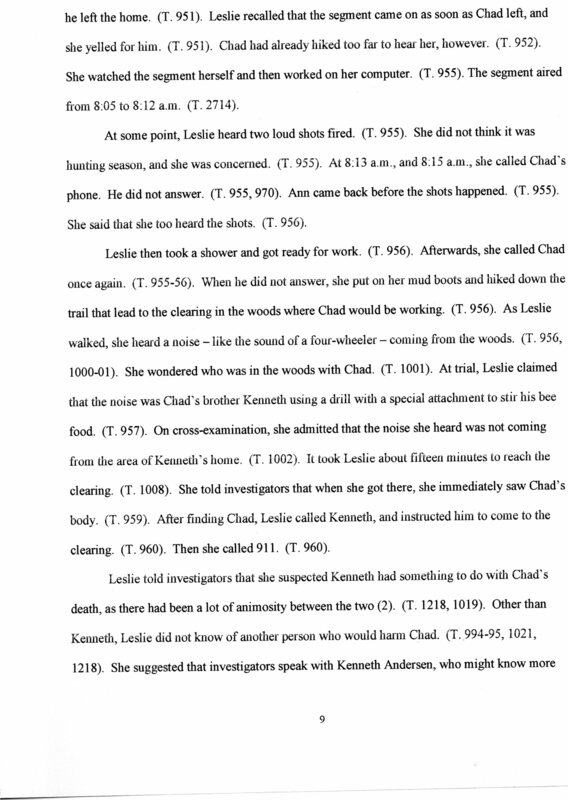 Page 292 also begins the DA’s response to the claim they were eavesdropping on Ken’s telephone conversation’s with his attorney, which is illegal. They emphatically deny they are doing it. Pages 293 and 294 continue their denial of these allegations. 3. 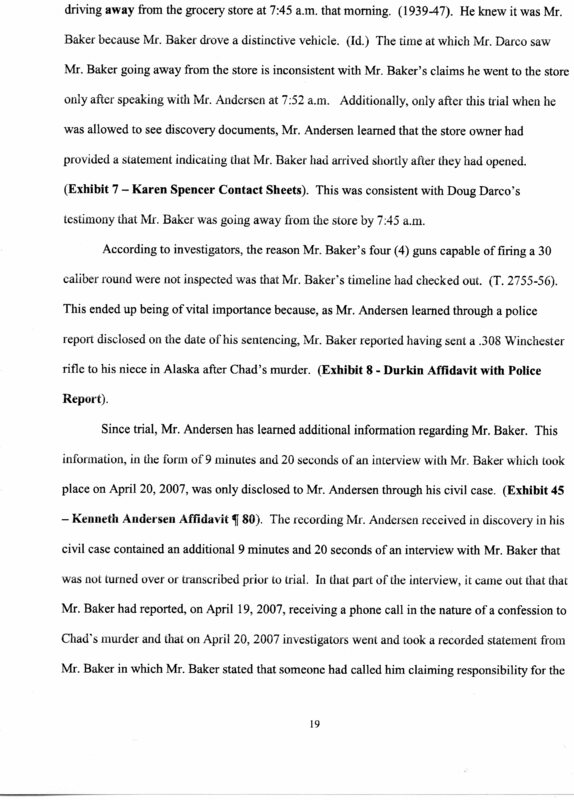 The next page is the DA’s response to Ken’s charge that key witnesses have been ordered not to cooperate with Ken’s investigator, which would help cripple his ability for a capable defense. The DA’s response is once again to deny they did anything wrong. 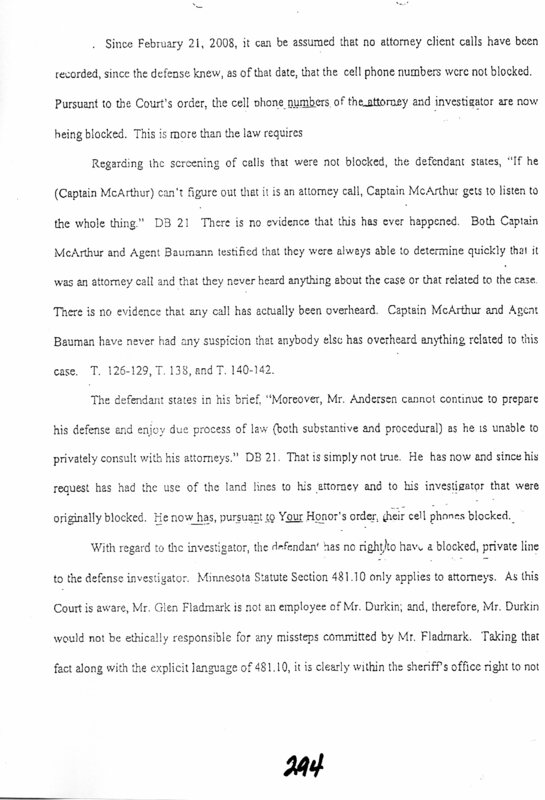 All of these answers by the Becker County DA have been proven to be lies. 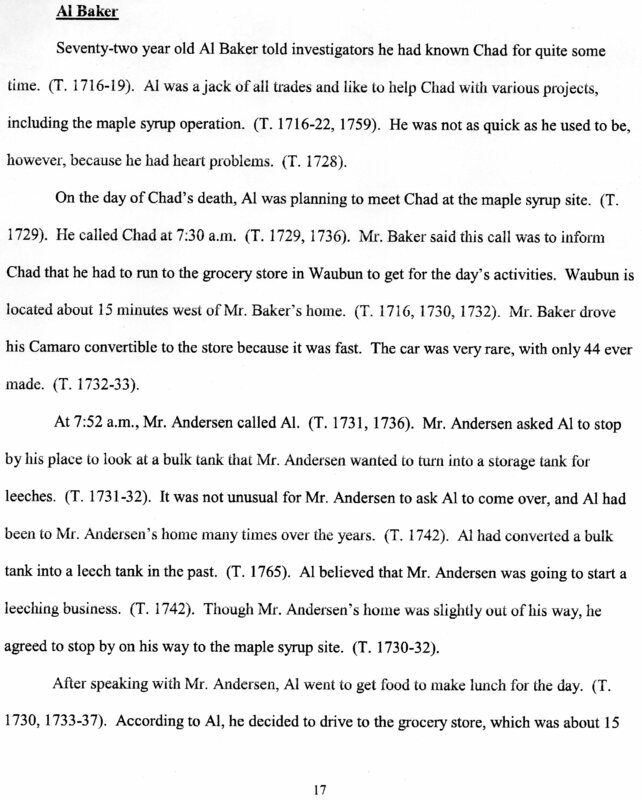 I will post proof of this and show that Ken Andersen did not get a fair trial and deserves to be retried or set free. One thing that will be clear is that he is innocent of this crime and should not be in prison. He was definitely framed. I will post more on Wednesday, October 19. Ken Andersen’s attorney, Zach Longsdorf, has recently filed a new petition asking the courts to grant Ken a new trial. 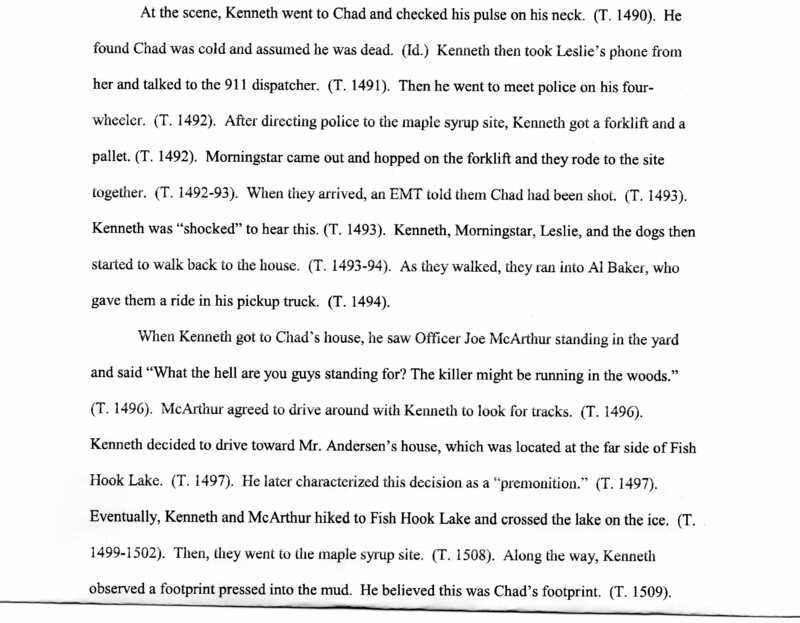 This is the best narrative regarding Ken’s railroading at trial and tons of new evidence showing he didn’t kill his best friend, Chad Swedberg. Folks, this is explosive and needs to be shared. After all these years, I feel I have understood and tried to communicate his innocence as best I could. Zach’s petition is better written and more thorough than anything I have have been able to post on this blog. I am sharing it with all of you now and ask you read all of it. The White Earth community needs to know what happened and urge the courts to give him a fair trial or exonerate him and let him go home. The true killer is still out there and got away with this. The police need to find that person and make sure they get the right person this time. I am sharing this in two sections. The first is the Memorandum of Law for Petition Relief, which is 80 pages and tells the entire story of what went completely wrong with this injustice. I urge you to read all of it and share it with everyone you know. The second link is the outline of the petition and only a few pages. I think the White Earth community deserves to know the truth! I urge all you readers to read this petition and encourage comments! Thanks to all of you for your support. Let’s continue to support Ken and see that he gets to come home.